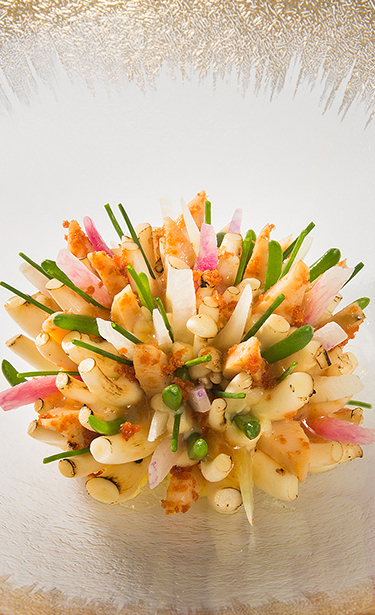 Contemporary and progressive, Sidney’s cooking style is one to always seek for a new culinary challenge. 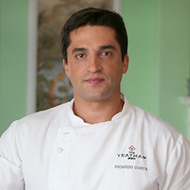 As such, he finds tremendous inspiration and excitement from experimenting with vegetarian cuisine. 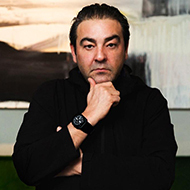 Sidney Schutte (Middelburg, The Netherlands 1976) discovered his passion for food and the art of cooking at a young age, during a summer job at a restaurant. At 17 years old, Sidney left his hometown in the province of Zeeland for Zuid-Limburg in the south of The Netherlands, driven by his ambition to become a chef. His training was extensive, and Sidney had the opportunity to gain experience from a wide variety of prominent restaurants such as Restaurant De Bloasbalg and De Librije in Zwolle. 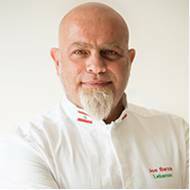 He learnt the true meaning of “passion” and “drive” from Roger Souvereyns, the renowned chef of the restaurant De Scholteshof in Stevoort, Belgium. 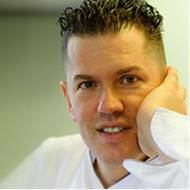 In 1999, at the age of 22, Jonnie Boer, acclaimed chef and owner of restaurant De Librije in Zwolle, summoned Sidney as his sous-chef. 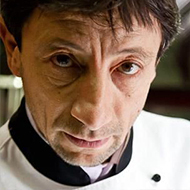 That same year, De Librije was awarded with a second Michelin star. 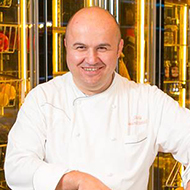 Only three years later and with Sidney’s support, De Librije earned its third coveted Michelin star. 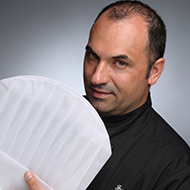 As Executive Chef, Sidney contributed distinctively to the creative process and development of new dishes. 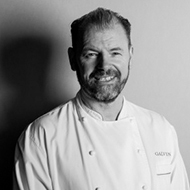 During his ten years at the restaurant, Sidney Schutte significantly contributed to the international fame of De Librije, the restaurant that put The Netherlands on the map as a culinary destination, and expanded with a hotel and second restaurant, Librije’s Zusje. 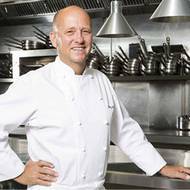 Meanwhile, Sidney was acknowledged as “SVH Meesterkok”, the highest recognition that a chef can achieve in The Netherlands. In 2009, Sidney decided to pack his bags and broaden his (culinary) horizons. 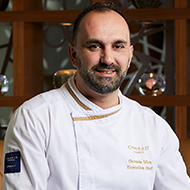 A one-day traineeship with Dutch top chef Richard Ekkebus at The Landmark Mandarin Oriental hotel in Hong Kong resulted in the position of Executive Sous Chef in the Landmark Mandarin Oriental with two Michelin star restaurant Amber. 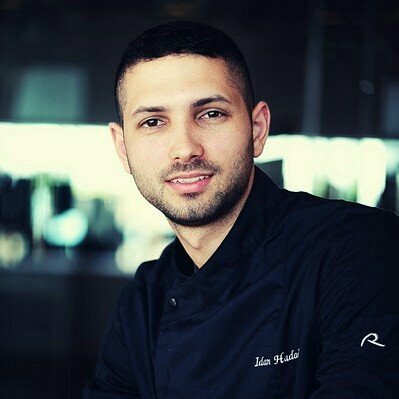 In 2012 he was appointed Executive Chef and learned the tricks of kitchen management at the highest level. 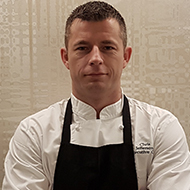 A year later, Sidney returned to The Netherlands upon request of Jonnie en Thérèse Boer to fulfil the position of Executive Chef in the soon-to open Waldorf Astoria Amsterdam, home to the restaurant Librije’s Zusje Amsterdam. Sidney leads his kitchen with a strong personal signature. 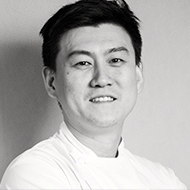 His dishes harmoniously combine local ingredients with Asian produces and influences. 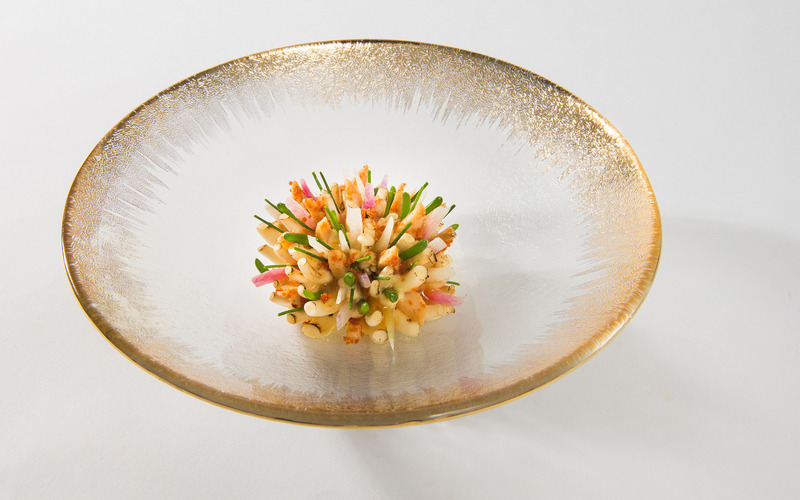 Whilst under the reign of Sidney Schutte, Librije’s Zusje Amsterdam was awarded with two prestigious Michelin stars, only seven months after opening. 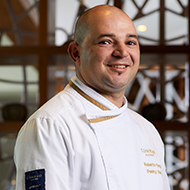 A second restaurant, Goldfinch Brasserie, was opened in February 2015, that Sidney Schutte meticulously overlooks.